Black on black. 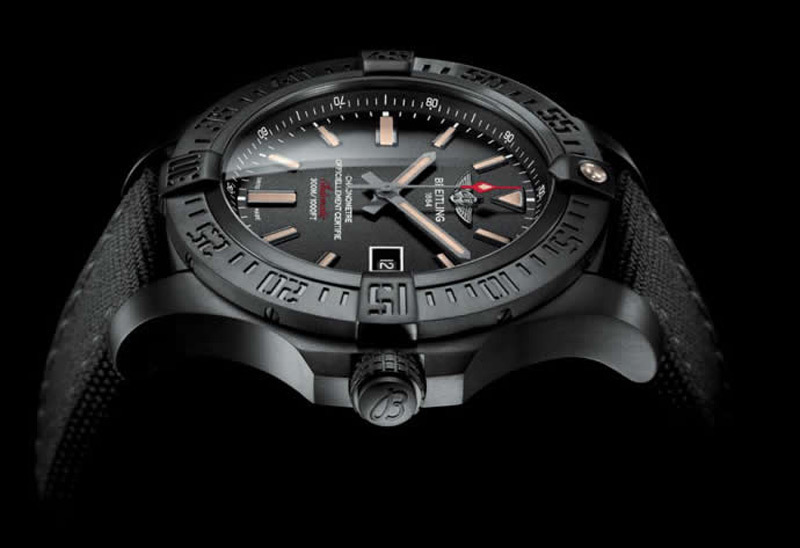 That’s how new Breitling Avenger Blackbird can be described. New watch for proffesionals vividly illustrates the watchword of the entire collection: power in action. Destined to be a companion on the most extreme missions, this newcomer to the Avenger line features 48mm case with a slimmer and more ergonomic profile, extended by inward curving lugs. Wrist comfort is enhanced by the light feel of the titanium and a military-style fabric strap. Wearer comfort is enhanced by the light feel of the titanium and a military-style fabric strap. The oversized hands and hour-markers ensure optimal legibility in all situations, including in the dark thanks to the luminescent coating that stands out clearly against the black background. The large screw-locked crown with non-slip grip guarantees maximum functionality, while its protective guards accentuate the robustness of the construction that is water-resistant to 300 meters (1,000 ft). It is powered by a self-winding movement chronometer-certified by the COSC. 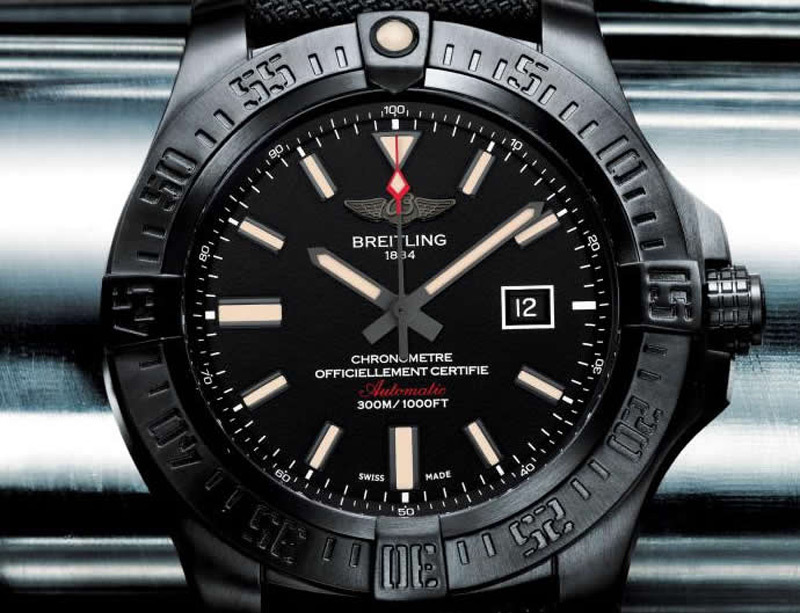 Priced at $5,105, the Avenger Blackbird will soon be available at select Breitling retailers.